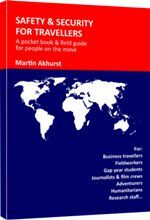 This handy pocket book is "The perfect companion for any traveller". Topics are covered in an easy to use, practical style that will help to ensure that your journey is a success. An essential part of your travel kit.